Since 2006 the federal government has built nearly 700 miles of wall and fencing with bipartisan support. As both parties remain polarized over President Trump's border wall, it can be hard to imagine a time when they might have agreed on it. But since 2006 the federal government has built nearly 700 miles of wall and fencing with bipartisan support. President Trump and his allies have accused Democrats of flip-flopping on border security, voting in favor of a barrier in 2006 but now refusing one, reports CBS News' Tony Dokoupil. Democratic leaders Nancy Pelosi and Chuck Schumer, for their part, said not all barriers are created equal and Mr. Trump's "big, beautiful wall" idea would in fact be "expensive and ineffective." 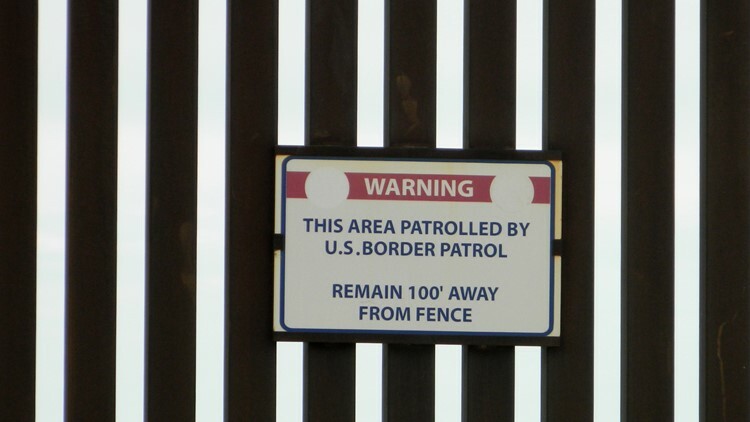 At more than 10 feet tall and made of steel, barriers like the ones you'll find in El Paso might seem like a prototype of President Trump's border wall. In fact, they're a sampling of what's already in place along the U.S.-Mexico border. In more remote areas, you'll find shorter vehicle barriers – all part of the Secure Fence Act, a 2006 political compromise on immigration. Signed by President Bush and supported by 90 Democratic members of Congress, it included funding for "two layers of reinforced fencing" plus "additional physical barriers" along roughly 700 miles of border from California to Texas. Among the senators who backed it: Barack Obama, Hillary Clinton, and current Minority Leader Chuck Schumer. A 2007 Republican amendment gave the Department of Homeland Security control over where to build the barriers. Since much of the rest of the border is protected by natural barriers, like rivers, America's great border controversy was over -- or so it seemed. But President Trump's comments on the length, height and design of his wall have varied widely since 2015, so widely it can be hard to tell what he'd accept in the end. He's even threatened to make the wall "higher and higher" each time someone says he's not going to do it. In his 2017 executive order authorizing a border wall, Mr. Trump officially defined the wall as an "impassable physical barrier." From the president's perspective at the moment, that definition might also describe the new Democratic Congress.